Yeah! Seany and my favourite Billi are evicted…..so far, Jonathan left because his grandmother passed away and he opts to walk out. This week Chanelle and Laura were up for eviction and Laura just now has been voted out.Laura is the fourth housemate to be evicted from the Big Brother House. As Laura walked out of the house, the housemates in the house were shown a pretty girl “Pauline” on their plasma screen live from Australia and she was told that she will be evicted from the Australia Big brother and will be sent to England Big Brother House. All the boys in the house seem very exited and jumping up and down. I think they can’t wait to touch her in real. 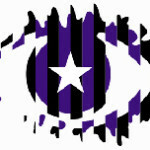 Pauline from Australia will join the UK Big Brother house on Sunday. Hmmm……….now the dirty game of Big Brother begins. Big Brother will turn the house on its head this week with a series of fake twists and tasks – and everyone will know what’s going on apart from the housemates. The first twist of the week came tonight in the form of new housemate, Pauline – who’s just been ‘evicted’ from the Australian Big Brother house. Pauline, however, is in fact 26-year-old actress Thaila Zucchi. For the duration of the week, housemates will be set a series of Australian-themed tasks in an attempt to make Pauline ‘feel at home’. However, the UK housemate’s real task is to figure out that Pauline isn’t actually a real housemate. If the housemates rumble Big Brother’s ‘mole’, they will receive a luxury shopping budget for the week. Big Brother will also set Pauline personal tasks every day to keep the group on their toes. This week will be the housemate’s weirdest week of their lives, ‘Fake Week’ will come to a head next Friday when Big Brother has one final sting in its tail – the fifth eviction will be fake. Nominations and eviction everything will happen as usual and one person will be evicted from the house. The evictee will then be interviewed by Davina making sure that the evictee talks nasty things about the housemates who are in the house. While, at the same time the interview will be shown live to the rest of the group in the house on their plasma screen…..ofcourse the evictee won’t know this. Guess what next! That evictee will then be thrown straight back into the house, the other housemates having heard everything the evictee has said about them. Now imagine what will happen? It will be a Mahabharat in the house. I am gonna love it.